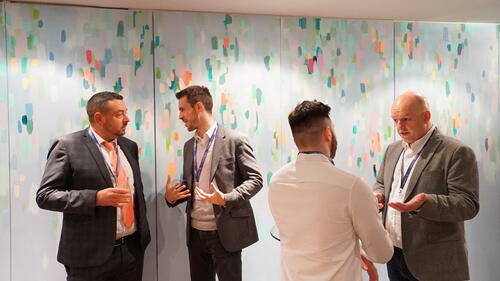 The YOOBIC London team was thrilled to host our 8th Retail Innovation Breakfast at Covent Garden's Hospital Club yesterday. We had our fill of coffee, croissants and thoughts on retail from our two incredible speakers: Michaela Michaelides of Yankee Candle (our amazing client) and Gordon Bullock of GRJB consulting. Gordon's insightful opening keynote reviewed the difficult year it's been for many UK retailers by comparing 2018 to songs. But all hope isn't lost - by focusing on making the most of stores, 2019 doesn't have to be "Dazed and Confused" or "Another One Bites the Dust". Michaela then gave us an insight into what store operations were like before YOOBIC (terrifying, apparently!) and explained how our solution has helped them improve efficiency in stores and compliance with VM and promotional guidelines. 1. Retailers must maximise their store estate to stay in the game. Rising rents, long leases and higher costs... it's not the easiest time for the physical store. 125 UK retailers went into administration last year and 6,000 stores closed their doors. And after Amazon's most successful Christmas ever, some retailers may be wondering if retail estate is even worth it anymore. But all hope is not lost. While 6,000 stores closed their doors, another 4,000 opened to take their place. The savviest retailers will find a way to strike the perfect balance between the rising costs of the physical store and the operational excellence that makes an outstanding customer experience possible. 2. Technology needs to show stores at their best to really make a difference. The physical store can differentiate itself by offering something that shopping on Amazon can't. And that means that to convert shoppers into buyers, stores need to be at their best 100% of the time. Any technology that supports this mission is worth it. And with strange weather patterns like last year's Beast from the East, scorching summer and mild autumn keeping shoppers away from the high street, as well as the 4% decline in foot traffic we saw over Christmas, the pressure is on for stores to keep conversion rates high by making every shopping experience a perfect one. 3. Technology needs to be fun for store teams to use. Working in retail isn't the most stress-free career choice out there. Stores are constantly bombarded with a multitude of competing priorities, from daily deliveries to executing planograms from a 50-page manual. Getting everything operations-related done isn't quite as exciting as spending time with customers. So if in-store tech is to be fully adopted, store teams should actually enjoy using it. 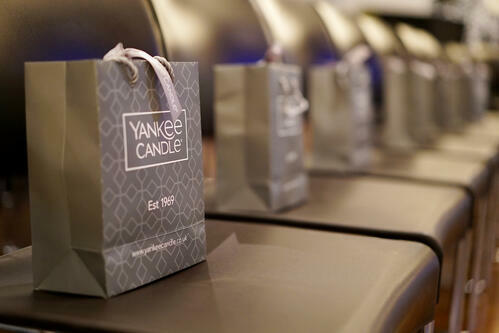 And we're thrilled that YOOBIC has helped Yankee Candle's hardworking store teams make ticking store tasks off their to-do list something they actually look forward to. 4. Visibility into store operations means better decision making. It's the age of the concept store. Retailers invest so much in them. But it's hard to be sure what's working and what's not unless you have a bird's eye view into what's being done in-store, and if it's being done on time. Good decision making comes from knowledge, and knowledge comes from visibility. The early bird gets the worm, and in today's hyper-competitive experienced based climate, retailers who react the fastest get the sale. 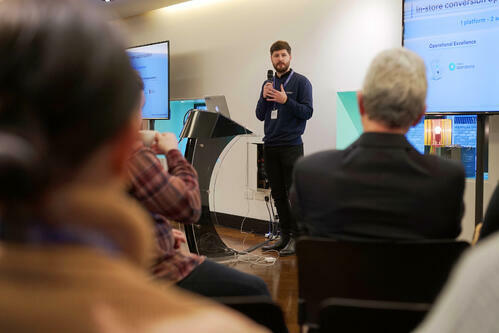 To be reactive, retailers need complete visibility into what goes on in stores the same way they have visibility into online shopping behaviour. Promotions, product launches and window displays each have the ultimate goal of converting more shoppers into buyers, but retailers can't decide what works and what doesn't if they can't be sure everything launched on time, or if all stores were fully compliant with brand guidelines. We're thankful Yankee Candle chose YOOBIC to help them make the best decisions to take the in-store experience to the next level while making the lives of their store teams easier. Copyright 2018 Yoobic. All rights reserved.